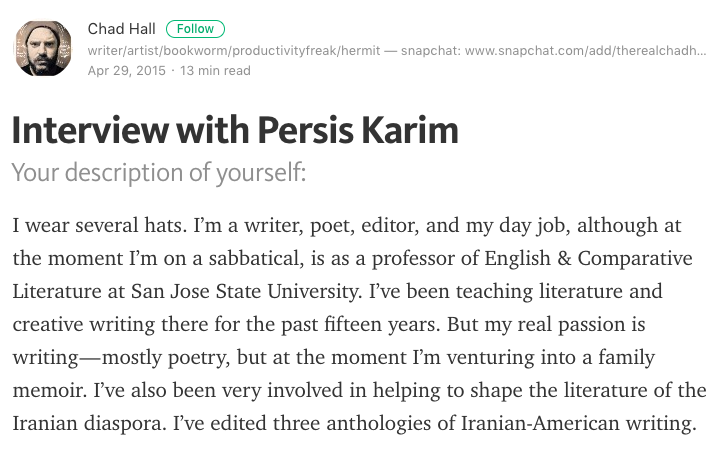 Interview with Persis Karim for Chad Hall's Blog (Silicon Valley) | Persis Karim, Ph.D.Persis Karim, Ph.D. This entry was posted in Blog, Interviews, Uncategorized. Bookmark the permalink.